The International Monetary Fund (IMF) warned central banks and governments may be less effective in dealing with a global financial crisis than before, contributing to investors' jitters. Stocks in the UK and Europe fell into the red with the FTSE 100 declining 0.4% to 7,177 and Germany's DAX retreating 8.1 points to 11,356. On Wall Street, the markets were also in a bad mood with the Dow Jones falling 0.3% at 25,430 by around 4:45pm UK time. Brent crude oil was stable at $67.18 per barrel and gold gained 0.7% to $1,320 per ounce. Sports Direct fell 1.2% to 282p on confirming that it made a takeover bid to struggling retailer Debenhams for its Danish department store chain Magasin Du Nord. Debenhams declined 2.6% to 1.5p. Shares in pizza delivery firm Domino's Pizza rose 3.5% to 234.4p after announcing Ian Bull will join its Board as an independent non-executive director. Contractor company Wood Group dropped 7.6% after announcing that it sold its non-core Terra Nova Technologies business to a Murray & Roberts Holdings unit for $38m. Inmarsat soared 8.8% after accepting a takeover bid by a consortium led by private equity groups Apax and Warburg Pincus in a deal that valued the satellite company at $3.4bn. 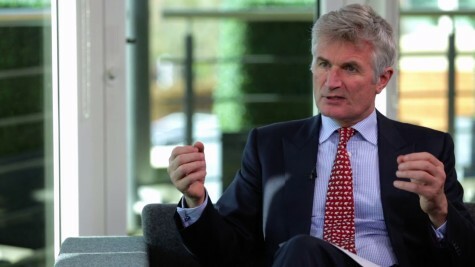 Subprime lender Provident Financial declined 0.7% to 518.8p as it announced the appointment of a new chief executive and chairman to its Vanquis Bank unit, while reiterating its rejection of a takeover bid from Non-Standard Financial. Medical products supplier ConvaTec dipped 0.2% to 133.9p after it poached Genus head Karim Bitar as its new chief executive. Shares in Genus fell 5.2% to £22.40 on the news. Wine retailer Majestic Wine slid 12.1% to 238.1p on revealing that it was reviewing its dividend amid a plan to invest more capital in its Naked Wines online business unit. Banknote and product authentication technology group Spectra Systems shed 6.4% despite it posting a 30% rise in annual profit. Teleradiology services provider Medica revealed adjusted operating profit and sales rose in the year ending 31 December, helping shares in the company rally 5.6% to 132p. Ovoca Bio rose 3.7% on news that it had recorded positive results from a trial of a treatment for hypoactive sexual desire disorder in premenopausal women. Textile processor Leeds Group fell 14% after it warned on profits, citing increased competition in a weaker market.